outras características A horizontal tricolor of yellow, blue and red with the National Coat of Arms on the upper hoist-side of the yellow band and an arc of eight white five-pointed stars centered on the blue band. Ver também : en:Flag of Venezuela e en:Coat of arms of Venezuela. 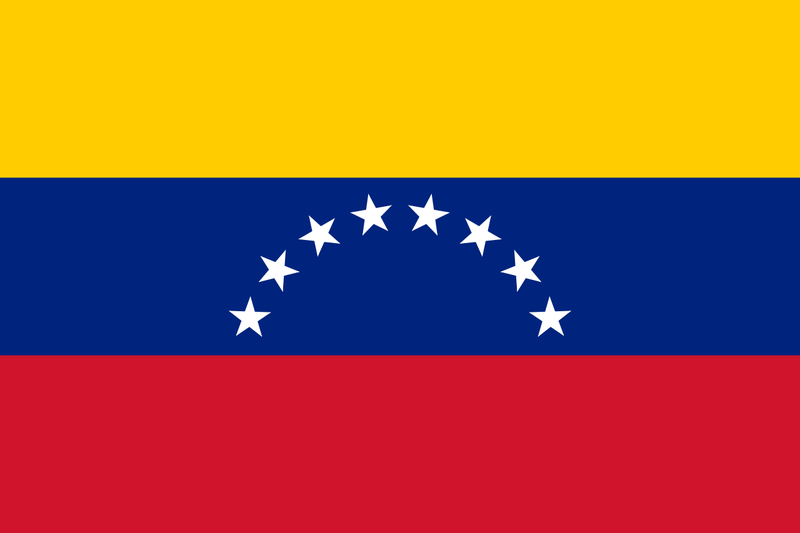 Ver também a categoria: SVG flags - historical of Venezuela. 23h15min de 24 de março de 2017 800 × 533 (57 kB) Jp16103 Added coat of arms per Venezuelan flag code and law.